Laura Lind, a lifelong Pittsburgher, enjoys creative pursuits in the arts, from dancing to jewelry making (although tiny beads and tangled wire tax her sanity). She has spent nearly her entire adult life performing in improv comedy groups. She finds improv more rewarding than scary—but still scary enough that if she really thought about it, she’d never get back onstage. Laura is a founding member of the improv comedy group The Amish Monkeys (www.amishmonkeys.com). She is also an early-childhood music teacher and a writer. 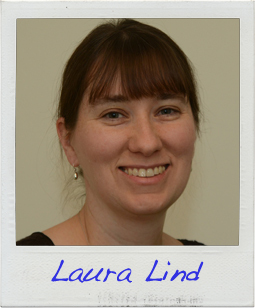 In addition to writing plays and personal essays, Laura writes to promote animal adoptions, most recently for Steel City Greyhounds. Read the first page of Laura’s story!